The 1910 Slocum Massacre in East Texas officially saw between eight and 22 Blacks killed, and evidence suggests African American casualties were 10 times these amounts. Yet the massacre has become a dirty Lone Star secret, remarkable more for the inattention it has received than for its remembrance. 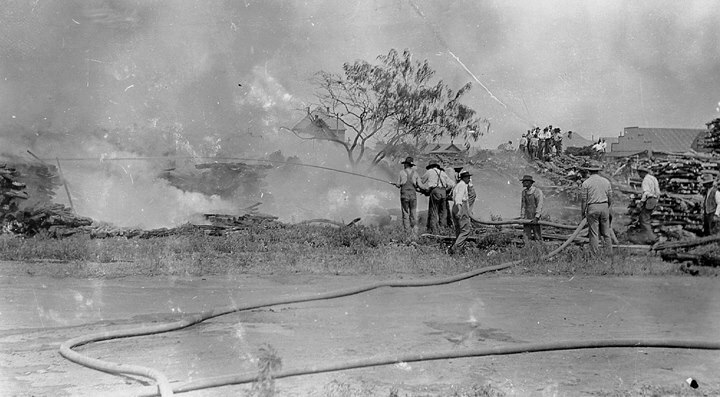 Unlike most Texas communities in the early 20th century, the unincorporated town of Slocum—like Rosewood, Florida—was largely African American, with several Black citizens considerably propertied and a few owning stores and other businesses. This alone, in parts of the South, might have been enough to foment violence. But in the area around Slocum, roughly 100 miles east of Waco, there were other issues, according to newspaper reports and other sometimes conflicting accounts of the massacre. When a white man reportedly tried to collect a disputed debt from a well-regarded Black citizen, a confrontation occurred. Hard feelings lingered. When a regional road construction foreman put an African American in charge of rounding up help for local road improvements, a prominent white citizen named Jim Spurger was infuriated and became an agitator. The Slocum violence was reported (in various degrees of truth) in newspapers across the country at the time. Rumors spread, warning of threats against Anglo citizens and plans for race riots. White malcontents manipulated the local Anglo population and, on July 29, white hysteria transmogrified into bloodshed. Stoked and goaded by Spurger and others, a collection of white mobs made up of Slocum locals and heavily armed white residents from all over Anderson County roamed through the area in groups of six or seven or in mobs of 30 to 40 and, according to some reports, up to 200. Members of the mobs engaged in what authorities later termed a “potshot” occasion, firing on Black citizens at will. They moved from road to road and cabin to cabin, shooting down African Americans in their tracks. 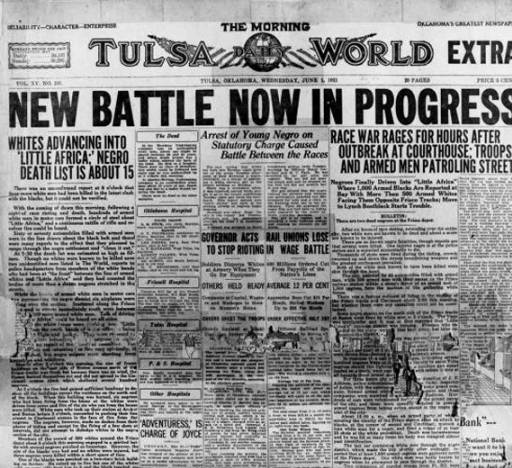 Survivors of the bloodshed spread the word, and African Americans began fleeing. The white mobs followed Blacks into the surrounding forests and marshes and shot many victims in the back as they fled. Several bodies were discovered with bundles of clothing and personal effects at their sides. Every initial newspaper report on the transpiring bloodshed portrayed the African Americans as armed instigators, but these accounts were heinous mischaracterizations. 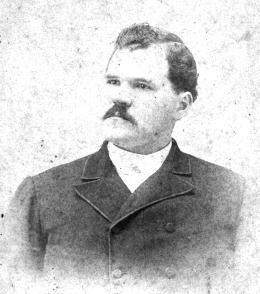 Anderson County Sheriff William H. Black, of Palestine, Texas, and Special Deputy Godfrey Rees Fowler arrived in the Slocum area, and they discovered a terrified white populace, most of whom had slept overnight in churches and schoolhouses. But it was increasingly apparent that the alleged African American mob that had supposedly conspired to attack the local white community hadn’t materialized. When reporters gathered on July 31, up to two dozen murders had been reported, but local authorities had only eight bodies. Sheriff Black said it would be “difficult to find out just how many were killed” because they were “scattered all over the woods,” and buzzards would find many of the victims first. The truth is, a harrowing number of African Americans were slaughtered in the counties of Anderson and Houston in the mid-summer of 1910. Yet today it’s almost never spoke of, much less widely acknowledged, sufficiently researched, or historically considered, including its omission in A Centennial History of Anderson County, Texas (1936) and History of Houston County, Texas, 1687–1979 (1979). In every month for the six months leading up to the Slocum Massacre, an African American in the East Texas region was executed by a white mob based on allegations alone. No trials, no juries—simply white verdicts. After the lynching of Allen Brooks, just four months prior to the Slocum Massacre, a photograph of his hanging body and a crowd of a hundred spectators was made into a postcard that was mailed to friends and family. And these injustices weren’t exceptions to the rule; rather, they were the rule under which African Americans lived and died in that part of the world. J. Milton Waldron, J. Anderson Taylor, and W. J. Howard signed the letter on behalf of 150 ministers asking President Taft for help. At the initial grand jury hearing of the suspects charged in the Slocum atrocity, nearly every remaining resident was subpoenaed; some refused to testify and were arrested. By the time the grand jury findings were reported on August 17, several hundred witnesses had been examined. Though 11 men were initially arrested, seven were indicted. The grand jury judge moved the trial to Harris County, distrusting the potential jury of peers the defendants might receive in Anderson County. The indictments received no interest or justice in Harris County. Eventually, all those charged were released, and none of the indictments were ever prosecuted. In the meanwhile, the personal holdings of many Slocum-area Anglo citizens fortuitously increased. The abandoned African American properties were absorbed or repurposed as the now-majority white population saw fit. The standard Southern Anglocentric world order was restored. The community reflects effects of the event to this day. While most nearby towns have African American populations of 20 percent or more, Slocum’s is just under 7 percent. After decades of effort, a marker commemorating the Slocum Massacre was dedicated on Jan. 16, 2016. Click to view larger image. On March 30, 2011, after a two-part February feature on the Slocum Massacre by Tim Madigan in the Fort Worth Star-Telegram, the 82nd Texas Legislature adopted House of Representatives Resolution 865, acknowledging the incident. The atrocities committed in the Slocum area in 1910 should give us all pause and spur commitments to definitively establish the truth, fully acknowledge it, and honestly and constructively address it. 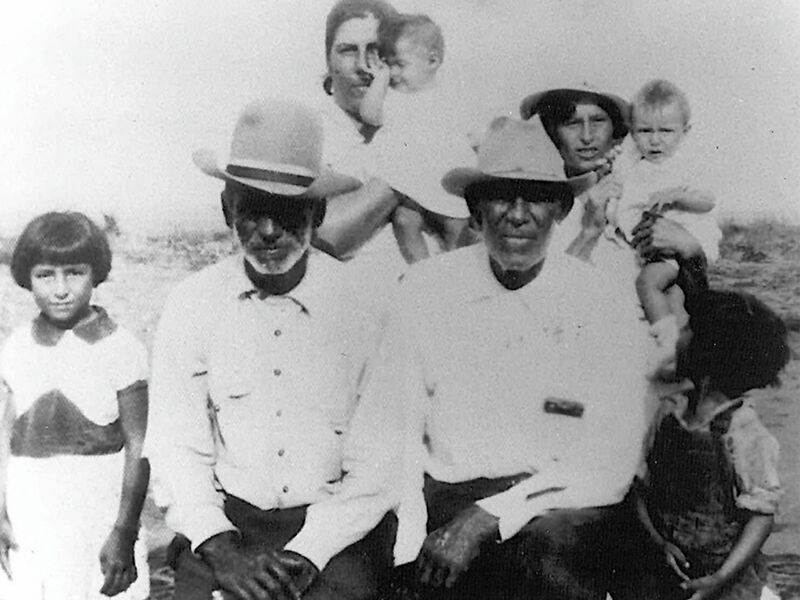 LEFT: Jack Hollie, Slocum resident and the great-great-grandfather of Constance Hollie-Jawaid, survived the massacre. RIGHT: Descendants of massacre victims and survivors. 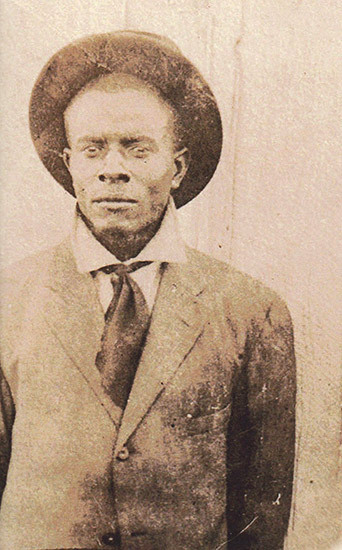 E. R. Bills is the author of The 1910 Slocum Massacre: An Act of Genocide in East Texas. Bills received a degree in journalism from Southwest Texas State University in 1990. Reprinted here with permission of the author. Versions of this story have been published on Dissident Voice, the Statesman, and the Patrick Murfin blog. Our thanks to Constance Hollie-Jawaid (formerly Constance Hollie-Ramirez), a descendant of victims of the 1910 Slocum Massacre, for sharing this story with the Zinn Education Project. Hollie-Jawaid was a Dallas Independent School District principal for many years. On Aug. 13, 1910, a group of more than 150 ministers from Washington, D.C. wrote to President William Taft about the Slocum massacre. W. E. B. 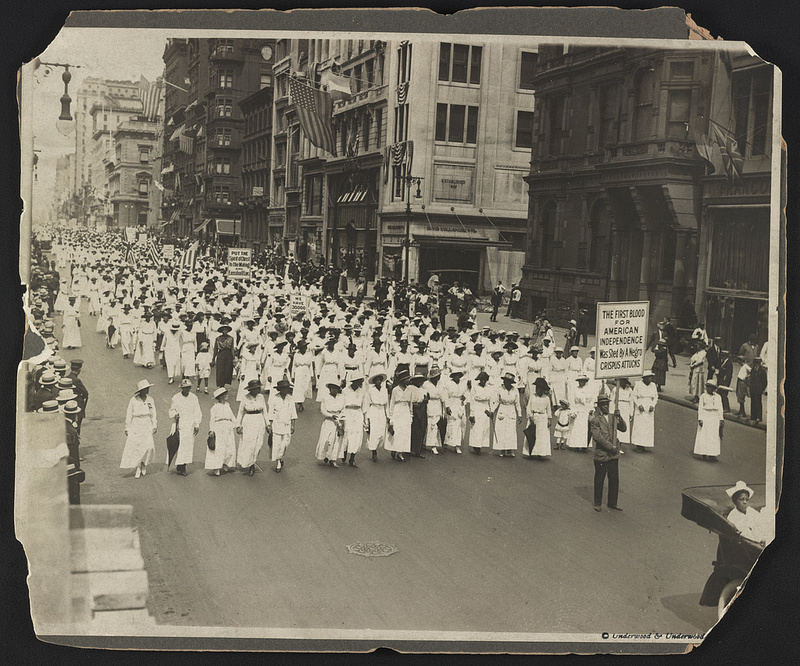 Du Bois and the NAACP organized a silent march in NYC to protest lynchings of African Americans. 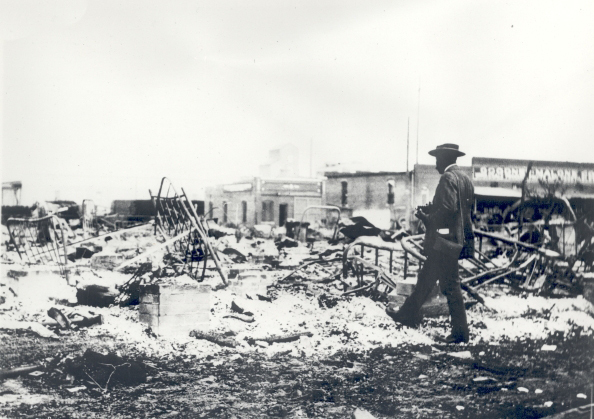 The Tulsa Massacre destroyed a thriving Black community in Oklahoma. 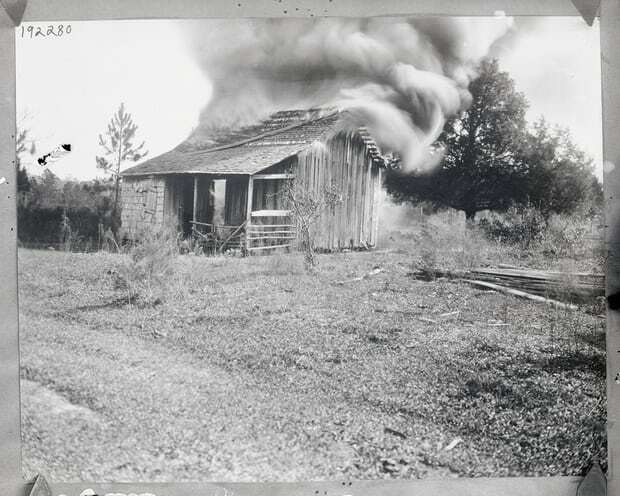 The Catcher “Race Riot” began, leading to the creation of another Sundown town.